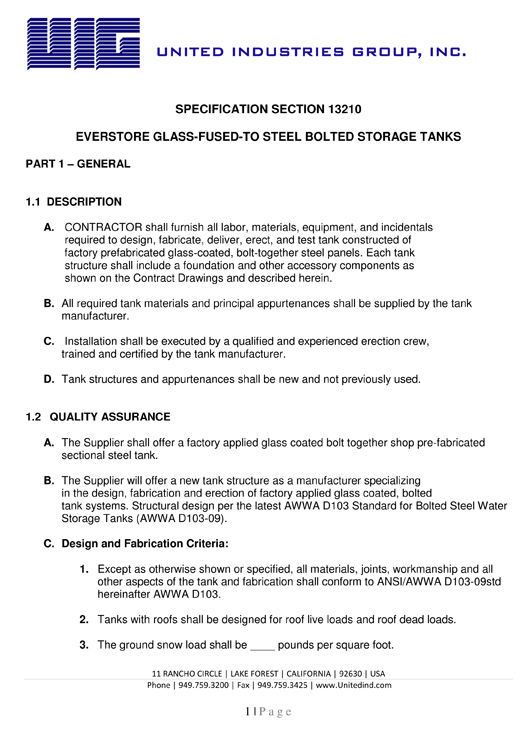 UIG engineers and manufactures a variety of storage tanks, including AWWA D103 Standard Glass Fused-to-Steel Bolted Tanks, Thermosetting Epoxy Coated Bolted Steel Tank and AWWA D100 Field Welded Storage Tanks, for dry bulk and liquid storage applications that are built to last. 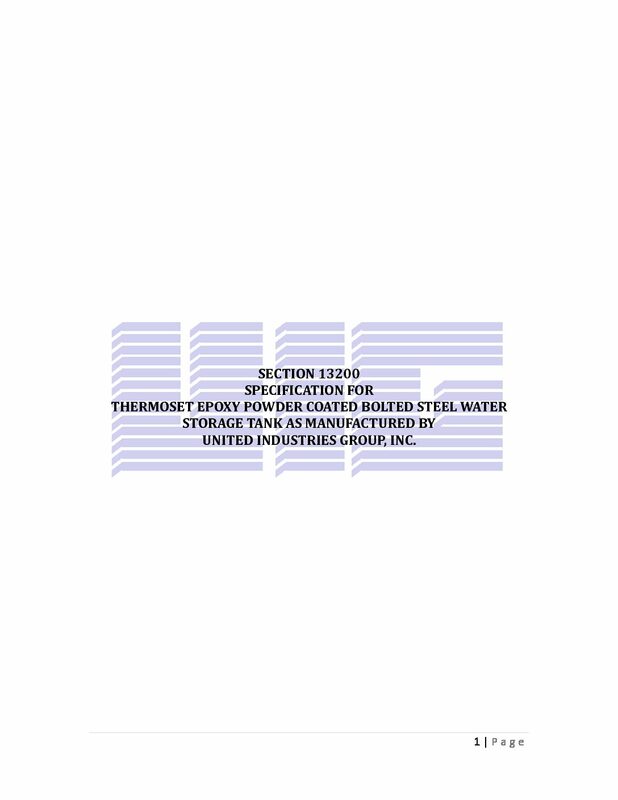 UIG has been operating under the same ownership for over 50 years and has the experience and expertise to provide you the best and most economical bolted steel storage tanks for your project. 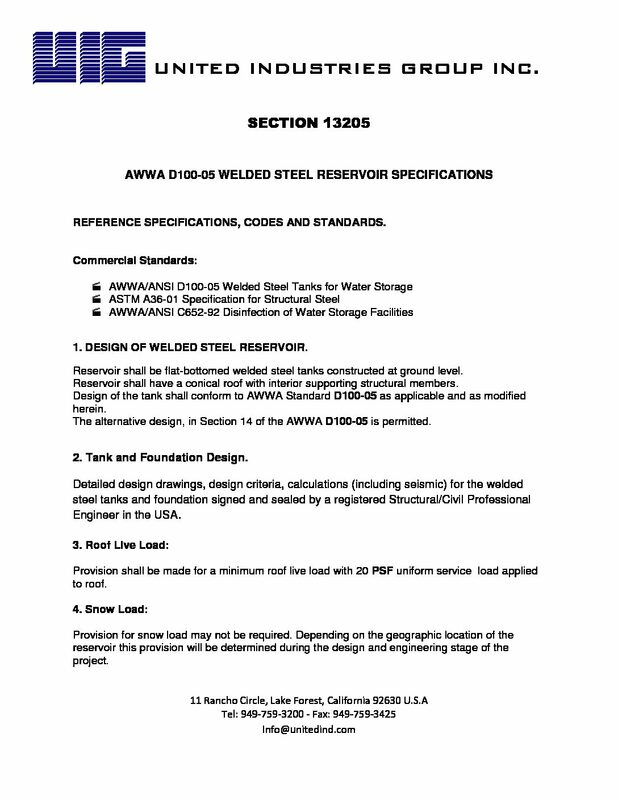 We are pleased to provide you with the following specifications for bolted steel tanks which you can use in your project packages.